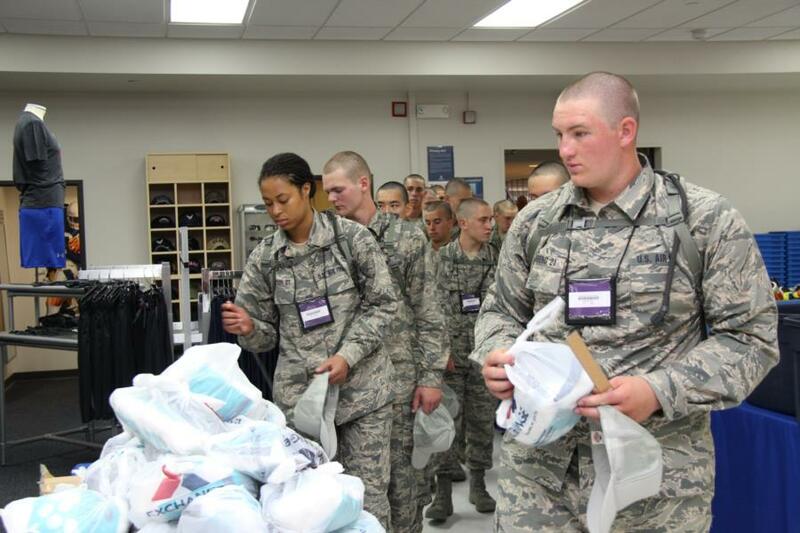 After the Swearing In Ceremony earlier today each Squadron made a stop at the Cadet Store (C Store). In past years at this location, they were given a specific amount of time to go shopping for essentials such as toothpaste, an ironing board, deodorant, etc. However, we noticed a change this year. Rather than having time to shop around for things the C Store had pre-prepared bags of the essentials that each Basic would need and instead of being able to look around the store - they just filed in, grabbed a bag, paid and then left. 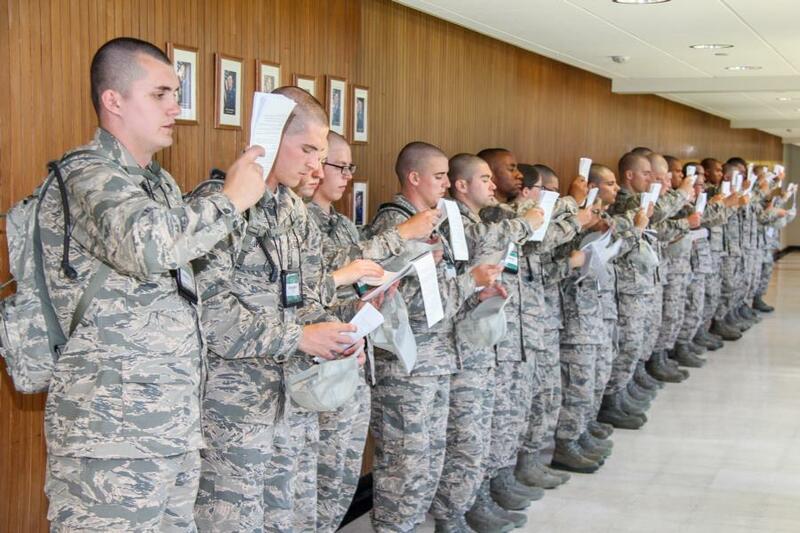 We were able to catch them going through this line as well as standing out in the hallway in formation. Pictures are almost all up in the 2021 BCT1 Gallery - we separated the squadrons as best we could! Be sure to check back tomorrow morning for the rest of our Day 1 coverage and we will be back tomorrow with another blog to tell you what your Basics will have been up to during Day 2 so stay tuned!